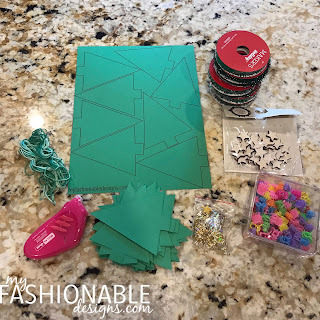 My Fashionable Designs: Holiday Class Party Craft Idea! Hi everyone! 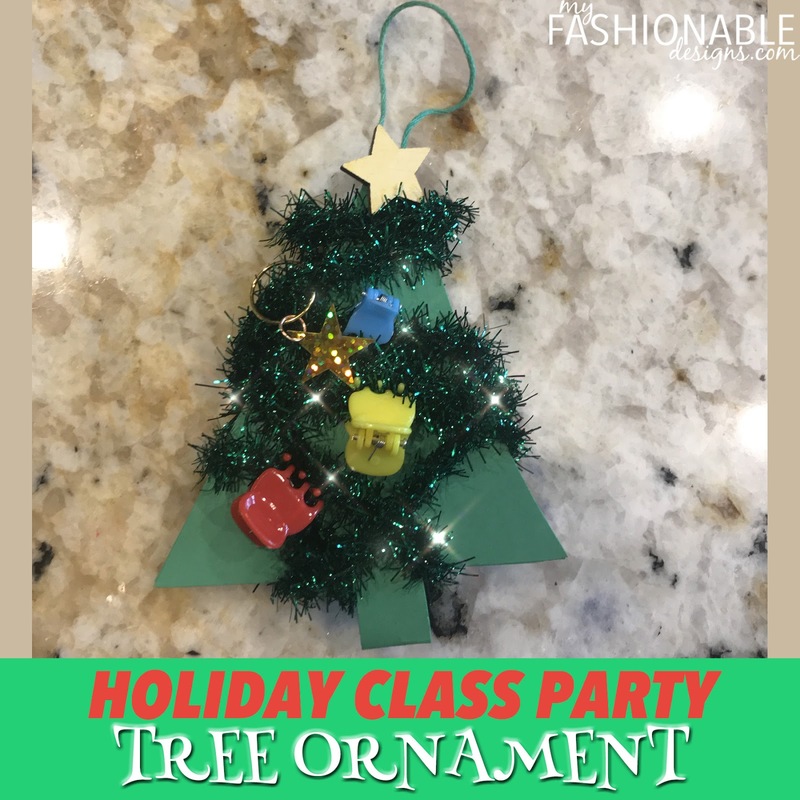 I am excited to share a simple holiday class party craft with you. It can work for all elementary ages, although you may wish to prepare some of the steps ahead of time for the younger kiddos. 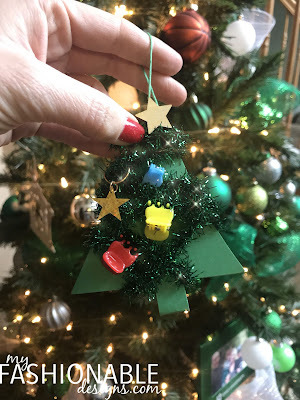 I created this ornament idea specifically for my son's first grade class, so I did much of the prep work such as cutting, gluing and creating the "kits" prior to the party. UPDATE: This craft was a huge success at the party! I was impressed at how the first graders needed very little guidance...they pretty much figured it out on their own! It only took about 5 minutes for them to complete (whew!). The most challenging part was the little star rings, which could be left off. Many of the kids took a yellow marker and colored the star topper. 2. Tape the end of the tinsel ribbon to the back of the cutout. 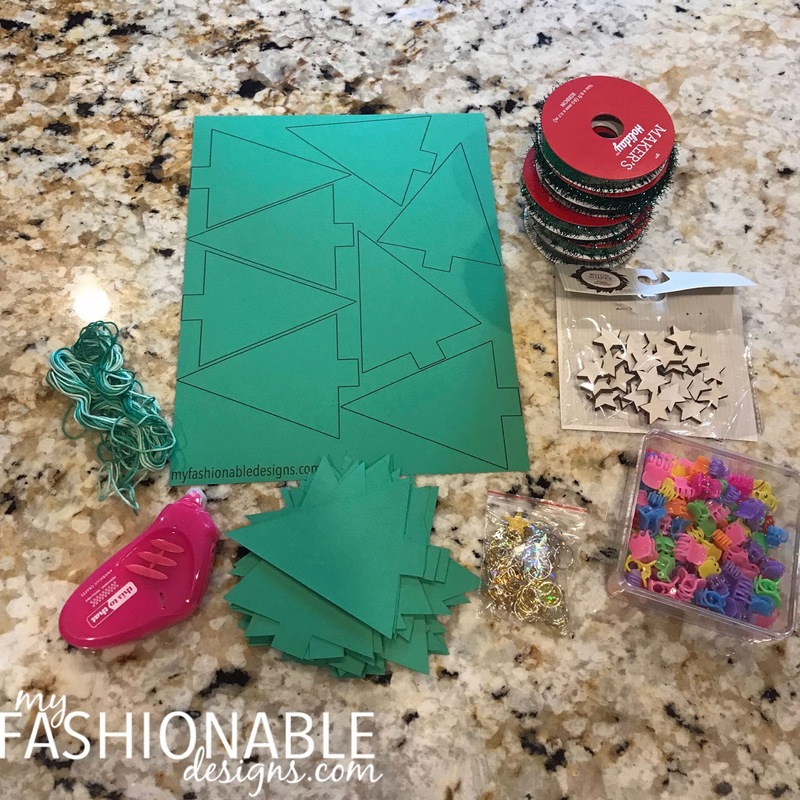 Allow kids to wrap the tinsel ribbon any way they choose! When complete, simply twist the wire to itself to attach. 3. The kids will clip on the hair clips, star hair rings, stickers, etc. for decoration. 4. Use tape, glue, or glue dots to attach a wood star or star sticker to the top of the tree. 5. Don't forget to write child's name and year on the ornament!